"The Once and Future Ocean: Notes Toward a New Hydraulic Society"
Amazon.com, IPGbook.com and your local bookseller. ORDER A COPY OF "THE ONCE AND FUTURE OCEAN: Notes Toward a New Hydraulic Society" through your local bookseller, on AMAZON.COM, or through IPGBook.com. The ocean holds the key to humanity’s survival. At a time when the world faces a multitude of potential calamities, from climate change to a struggling oil industry to rapid population growth, author and environmentalist Peter Neill, Director of the World Ocean Observatory, argues that the time is now to begin organizing our social, financial and political order around water in all its forms and functions. This is especially poignant in the face of the Flint water crisis--an unfortunate example of the consequences of failing to value water as a most precious resource. Neill’s new book, THE ONCE AND FUTURE OCEAN: Notes Toward a New Hydraulic Society, offers a bold vision for a practical and possible future, based on a revolutionary paradigm shift toward a "new hydraulic society" that can be implemented through the political will of individuals who understand the necessity for change, the logic of a new moral alternative, and the reality of the consequences if we fail to act in time. Ambitious in scope yet grounded in actionable, specific ideas and solutions for preserving the health of the world ocean, THE ONCE AND FUTURE OCEAN relies heavily on the scientific community’s contribution to information about the world ocean and is written with a deep familiarity with ocean policy. It is presented as a personal realization—equally rewarding read in one sitting or in segments—and is intended for a wide audience of ocean lovers--not limited to experts, academics, or policy-makers. THE ONCE AND FUTURE OCEAN aspires to do nothing less than transform our relationship with the world's most promising and imperiled natural element: the ocean and the inter-connected cycles of water, essential for all aspects of human survival. Accessible, powerful, persuasive, and lyrical, Neill's new book is the clarion call for the ocean as the place that we must turn for fresh water, food, energy, health, political stability, security, community development, and personal renaissance. It argues for invention, new solutions, new answers to fundamental questions, and a new relationship built around the ocean as an inspiration for new ways of living that are within our grasp if only we have the courage to take hold. 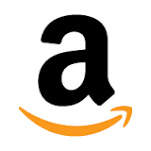 Use this code from AMAZON SMILE to give 5% of your purchase to World Ocean Observatory! Feedback from readers will be a huge part of the success of THE ONCE AND FUTURE OCEAN. The more feedback we receive from our fellow ocean colleagues, the more opportunities we’ll have to educate readers about the health of the world ocean and our most important relationship on the planet—-the water cycle. You can review directly from Amazon.com or send us a few sentences in an email. Thank you! Are you a publication interested in reviewing THE ONCE AND FUTURE OCEAN? Please email our Managing Director Trisha Badger. Let us know the name of publication requesting the review copy, a best contact, and how to get in touch with them. Beginning with a discursive analysis of the most pertinent issues relating to the present condition of both land and sea, Peter Neill’s ONCE AND FUTURE OCEAN lecture provides a persuasive argument for why the ocean matters and how its sustainability and careful use can establish a new paradigm for adaptation to a changing climate, and around which to build a new post-industrial, post-consumption based global community. This fundamental shift is directed toward the creation of a new hydraulic society wherein water in all its cycles and circles will determine how we live – from our buildings and cities to adaptations to extreme weather and climate change to the structures of governance by which we will succeed in an increasingly populated world. At 7.4 billion and counting, the world population is putting extraordinary demands on the planet’s resources: it is crucial that world leaders and its citizens look to the ocean and the water cycle as vital resources that must be protected. In his lecture, Neill argues that the threats facing us are real and the consequences devastating if we continue to use the same systems and business as usual. The ocean, he argues, is where we must go for fresh water, food, energy, health, protection from extreme weather and storm surge, political stability, community development and personal renaissance. He calls for a new ocean ethos—a new system of valuation, organizing concept, political structure, and social behaviors—and offers concrete examples of technologies and applications that already exist but have been suppressed by complacency and political subversion, financed by exhausted vested interests. Peter can speak from six minutes to one hour on why the ocean matters and the ways in which it holds the keys to humanity’s survival, based on the concepts contained in THE ONCE AND FUTURE OCEAN. Peter can speak from six minutes to one hour on why the ocean matters and the ways in which it holds the keys to humanity’s survival, based on the concepts contained in THE ONCE AND FUTURE OCEAN. To request a review copy of the book or to book Peter for a speaking engagement, please email info@thew2o.net.